Differences between Mac and Windows: find out what are the peculiar characteristics of the two operating systems. You have to buy a pc, for your child who is studying or for your professional needs. You can not make a serene choice. This article can help you! You must first be aware of the use you will make of the device. To carry out your business, what kind of software do you need? Are you able to use the operating system? What kind of budget can you afford? Another series of questions you have to ask: do you want an ultrabook, a notebook, a desktop, an all-in-one? What do you really need? What are you looking for? I'll explain what an operating system is, so you can better understand the differences between Mac and Windows. An operating system allows hardware components to communicate with each other. Allows a user to connect and use his own hardware. Serves the computer to use the devices (keyboard, mouse, printer, webcam, storage, etc.). Simply put, it allows the operation of your computer or device. An operating system must be reliable, secure, flexible to be able to adapt to the various end user uses, functional, easy to explore. Windows is the most popular in the business sector, followed by Mac. According to the ranking on "Netmarketshare", updated in June 2018, the Windows platform occupies 88.4% of the global market while Mac OS represents 8.9 %. I will briefly summarize the history of the two operating systems. Apple Computer (Apple Inc.), based in Cupertino (California - USA), founded by Steve Jobs, in 1984 launched the first operating system for PCs with a graphical interface. Microsoft (Microsoft Corporation), based in Redmond (Washington - USA), founded by Bill Gates, began selling Windows in 1985. Mac stands for the Macintosh. The name "Windows" instead was given to the operating system by a collaborator, manager and marketing expert, Bill Gates: Mr. Hanson. Microsoft's dominance in the market began in 1995, with Windows 95. Devices with Mac unquestionably have an excellent design , modern aesthetics and high build quality. On Mac laptops, the keyboard is intuitive and varies according to the brightness of the environment. Minor clutter and lightness are undoubtedly attributable to Mac devices. Windows is marketed by many brands (HP, Dell, Asus, Toshiba, Lenovo, etc. 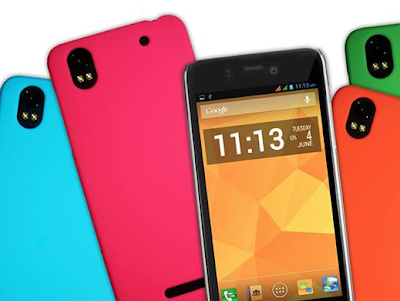 ), so the appearance of the device will depend on the brand you buy. Some high-end Windows machines have made tremendous progress in terms of finishing and aesthetics. Mac's interface, features, fluency, quality and stability are notorious. Mac is more expensive, both during purchase and when replacing items in case of repairs. Windows instead, being more sold, has prices significantly lower. Microsoft sells Windows licenses to many manufacturers of desktops, laptops, tablets. You can choose a device of any size, shape, color or price range with Windows installed. You can also choose between multiple components and multiple devices. Do you already have a desktop computer and need a laptop? You need lightness, practicality, ease of use of the programs. If you have a small budget, the choice is certainly a Windows laptop. MacBooks are more expensive. In any case, if you have a high budget, you can also opt for a high-end premium Windows laptop. Windows is open to the optimization of any third party program, while Mac has a less customizable work system. Most applications work on Windows. Mac has its own specifications that only work on Mac. The basic projects are different. Mac was born to be installed only and exclusively on Apple machines. Windows instead can run on devices of numerous manufacturers. Windows updates are varied and sometimes take a long time to install. With Apple, the stability is greater: the average number of crashes is really very small. The settings to be changed on Windows are greater than those on Mac. Devices with Mac operating systems are generally not very scalable (hardware upgradable) because many components are welded together, even on desktop models. Updates can only be made by specialized personnel present in the Apple Stores. Devices with Windows present fewer problems in this regard. If you love variety, modularity, personalization, Windows is for you. If you prefer devices with similar components (motherboard, RAM, chassis, sound card), with variations only on the power or the amount of RAM, Mac is more suitable for you because it is stable and optimized. If you use Mac, you can find many preinstalled and tested software that gratifies your experience. Windows has pre-installed software but you may not like it. It always depends on the needs you have in using one or the other of the two operating systems. What is an interface? When referring to the hardware, an interface is a physical device, a port, or a connection that interacts with the computer or another hardware device. If you choose Mac, then an Apple product, you must know that Macbooks use only USB with Thunderbolt 3 standard (USB-C). The speed is incredible, but you have to use an adapter to connect the most popular devices, equipped only with USB and HDMI ports. Windows-based PCs typically have different interfaces , so you can connect devices with Thunderbolt, USB 3.0 or 3.1, HDMI, etc. Cortana is the voice assistant of Windows, Siri is Mac. Given that the world of voice assistants is constantly evolving, it can be said that the performances are very good for both. Siri has been on the market for a long time, from 2011 to be exact. Cortana is also available for Android devices. Windows is the preferred tool for those who play because of the intensive use of the processor that can be done. Mac is used as a photo and video editor. Mac is considered the platform for design and creativity . Windows allows you to achieve the performance that a player / gamer claims to have. The software for Windows (open source, freeware, paid) are many. In the Mac world, although the number of developers has risen, the programs are not many, especially for the gaming world. The quality of electronic components can affect maintenance costs. The use of the product can also lengthen or shorten its duration. A computer that is used daily for video games or for professional needs will not have the same duration as a medium quality machine used occasionally or without constant intensity. Mac makes use of the Apple Store service; Windows has no specific reference points because it is installed on devices of various brands. Mac users usually give a very good customer service score . A device with Mac is easier to repair (in an Apple Store or a Mac-certified repair shop), but it's more expensive while a device with Windows is usually cheaper. 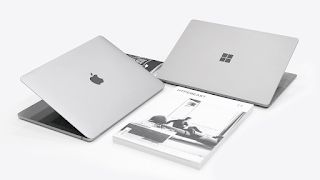 Apple branded hardware products and their accessories are guaranteed by Apple itself; Windows, on the other hand, depends on the brand of the supplier installed on it. Mac is used on PC, iPhone, iPad. Who owns an Apple device generally uses everything related to the brand. Windows is the best-selling on PCs. Mac is silent. If you want to have a computer that generates little noise and that promotes creativity and wellbeing you have to choose a high-end device that mounts Windows, possibly studying the entire range of the brand you choose. It is pure legend that Mac is unassailable by computer viruses . Statistically speaking, Windows is more hacked simply because it is the best selling. In any case always remember that the main problem is the incorrect use of security procedures that makes a device hackerable: the password too easy to repeat endlessly on all devices, inattention, superficiality. The main mistake is always human! Both platforms are equally valid for developers . You must have clear the necessary tools, which platforms are available, which language you should use, which framework you need to use. Mac has a higher value on the used market , but the hardware is not easy to update. A device with Windows has a lower value, but it is not complicated to adapt. The debate always on between the supporters of Windows and Mac is no longer current. The choice must be based on personal taste and on the use of the device. If you want to choose between many brands and prices, surely Windows wins. If you are a student or a beginner and want a new, but cheap PC, choose Windows. If you want to have little maintenance, you want your PC to last for many years, you love reliability, choose Mac. Graphic projects? Create audio? Do you like video design? Do you have a high budget? Choose Mac. Do you have to use software running on Windows on a daily basis? Banally, choose Windows. You must always have in mind the primary use of your device, the budget that you make available over time, what you do every day in the routine. The secret is just this!